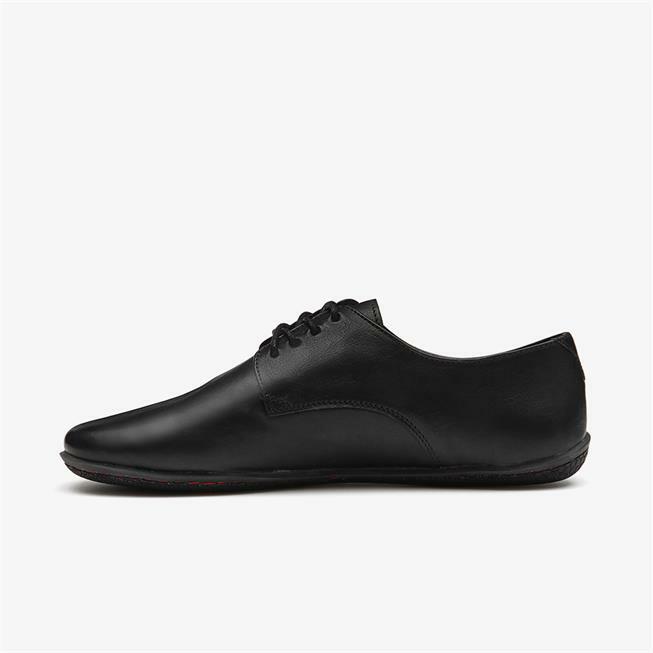 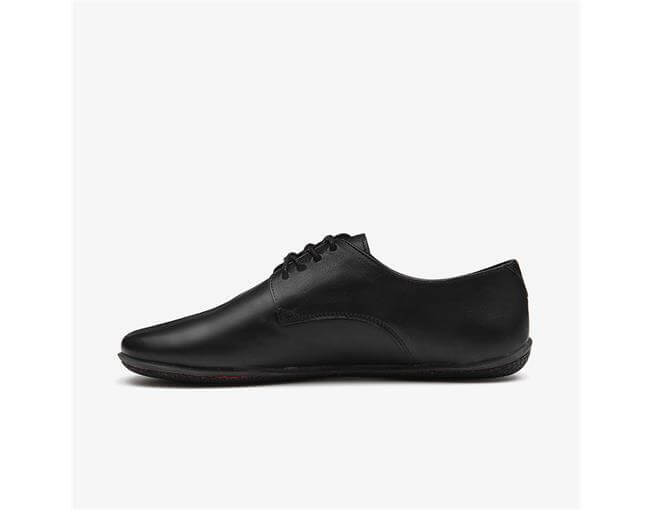 The Lisbon is a formal unisex dress shoe made from polished black Sacheto calf leather and a hand-stitched sole. 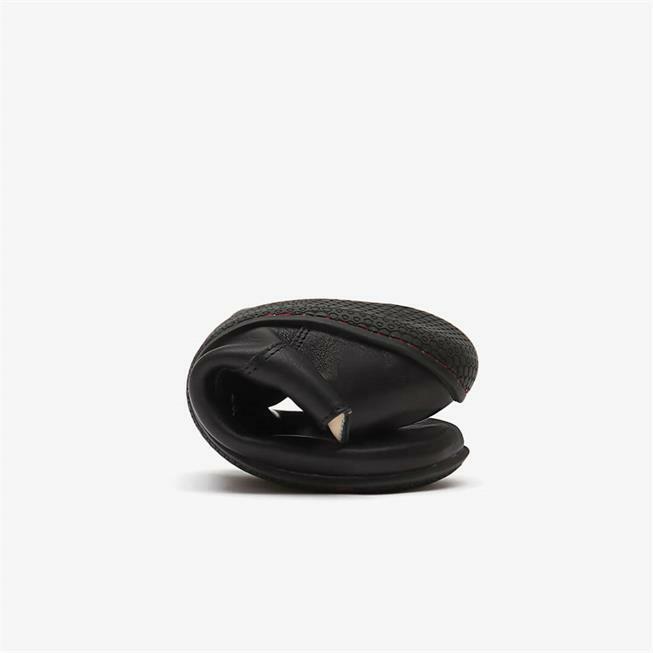 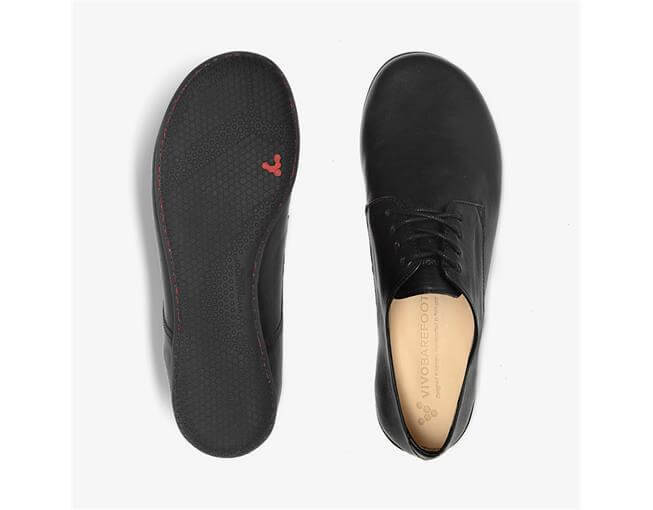 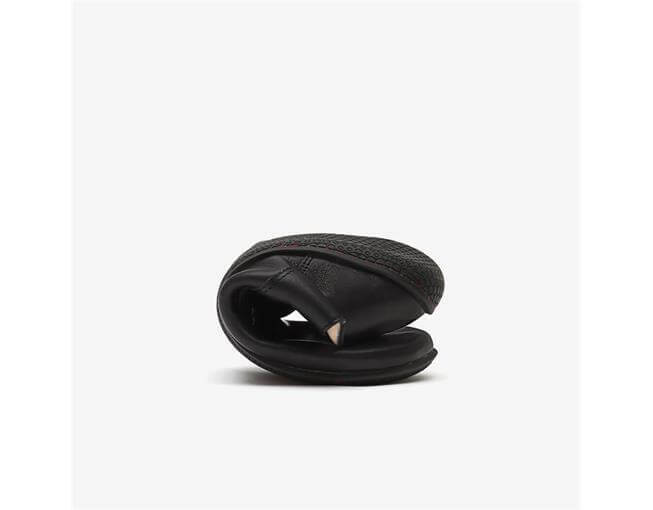 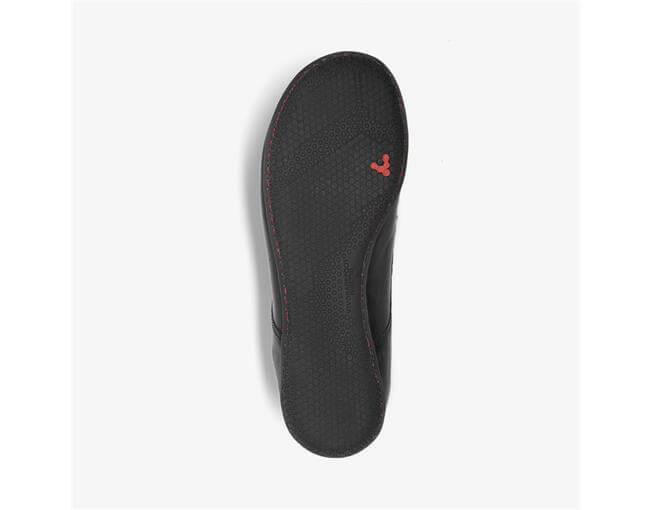 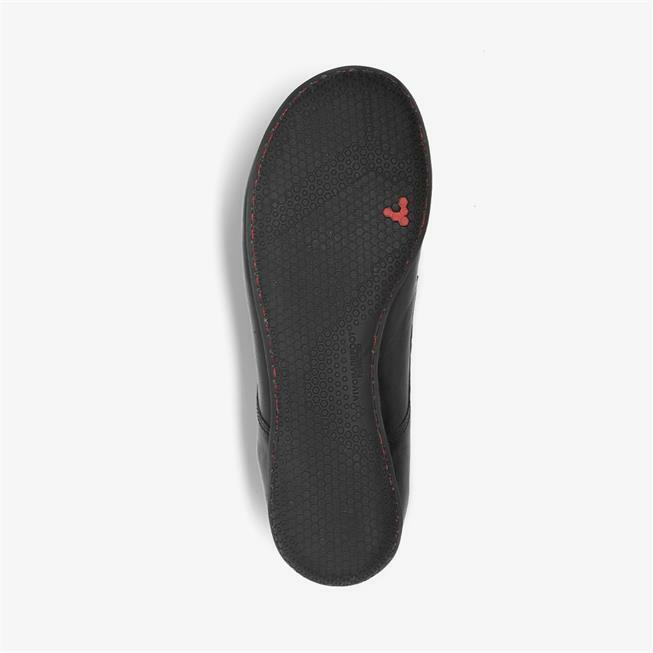 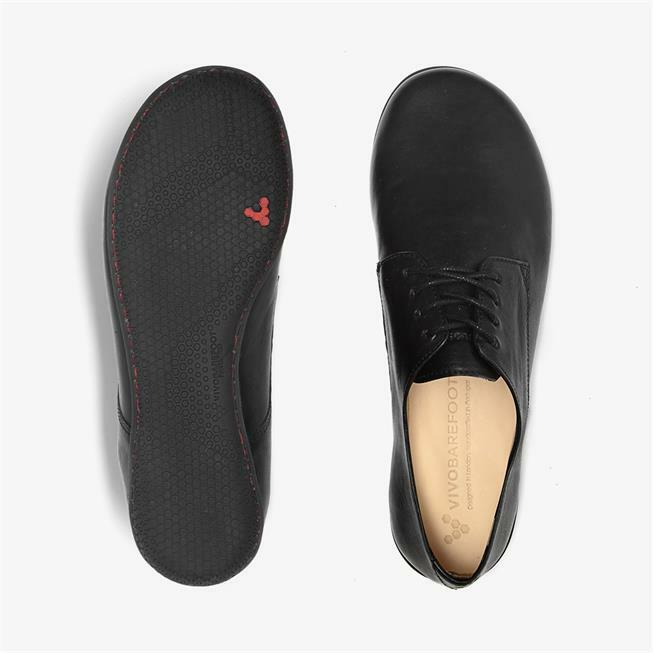 This premium minimalist footwear is designed so you can go barefoot to your smartest events. 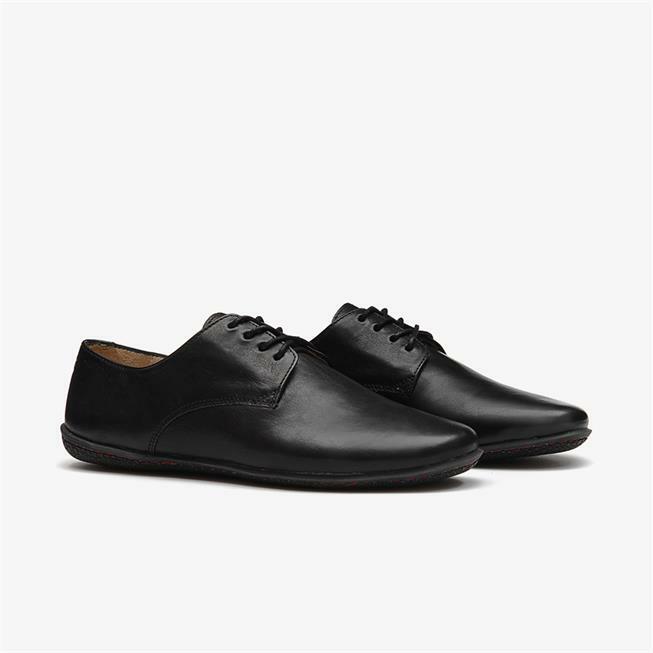 Your feet will feel free and comfy at any formal occasion. 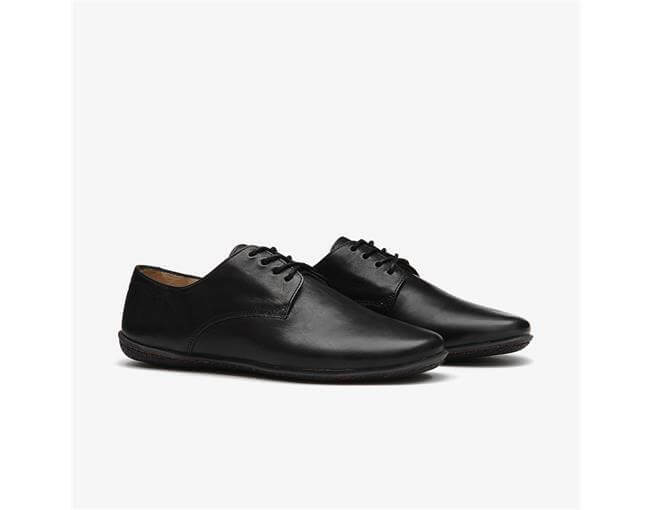 Lisbon is a sophisticated dress shoe that allows you to tread softly and make a big statement. 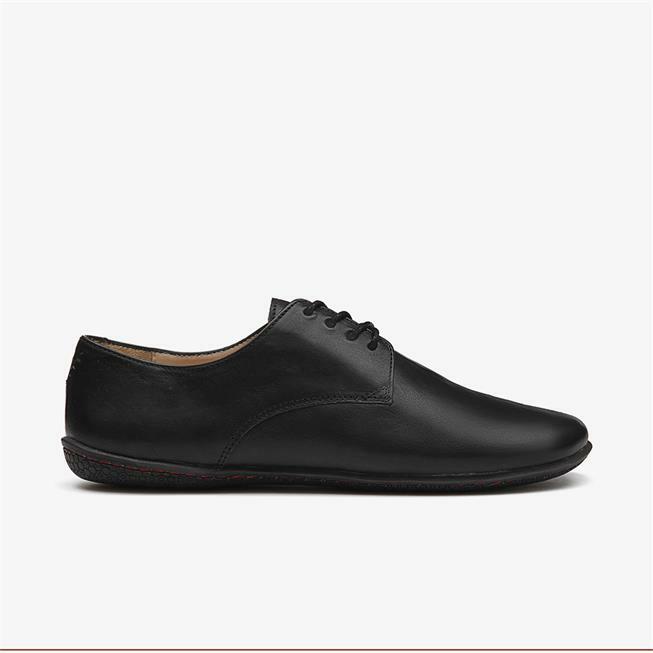 Classic lines and understated detail let you pair the Lisbon beautifully with business attire for men and women.